This is a long one since I didn’t manage to fit one of these posts in last weekend. 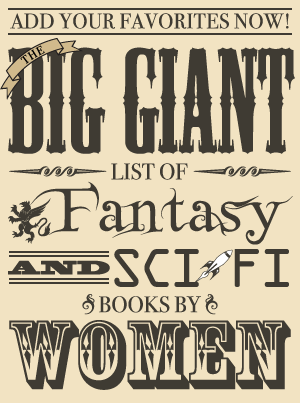 All my blogging time then went toward finishing Warchild by Karin Lowachee so I could stick to the schedule I’d made myself for Sci-Fi Month (but that was fine since I ended up LOVING Warchild, which is now one of my favorite books ever!). That also means I didn’t get to mention the Mind Meld at SF Signal I’d recently participated in as I had been planning to. It’s about the importance of anthologies, and there are a lot of different answers and anthology recommendations. Several books came in over the last two weeks, including two I’ve talked about before. One is even a book by one of my favorite authors that I LOVED that an awesome friend got signed for me at a con, which made my week! The other was released earlier this month, Fortune’s Pawn by Rachel Bach (also known as Rachel Aaron, the author of the Legend of Eli Monpress series). On to the rest of the books! 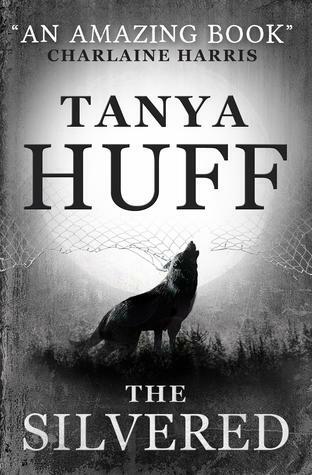 The Silvered was released in the UK earlier this month (paperback, ebook). It was first released in the US about a year ago and is available in hardcover, ebook, audiobook, and mass market paperback. An excerpt from the beginning of the book is available on the US publisher’s website. I’ve heard The Silvered is quite good, and I rather enjoyed Tanya Huff’s novel The Fire’s Stone so I was excited to start reading this one—enough so that I already started reading it! Right now I’ve only read through part of the second chapter, but I like what I’ve read so far. An excerpt from Fiddlehead can be read on the publisher’s website. When she’s required to assist Abraham Lincoln himself, she has to put any old loyalties firmly aside – for a man she spied against twenty years ago.Lincoln’s friend Gideon Bardsley, colleague and ex-slave, is targeted for assassination after the young inventor made a breakthrough. 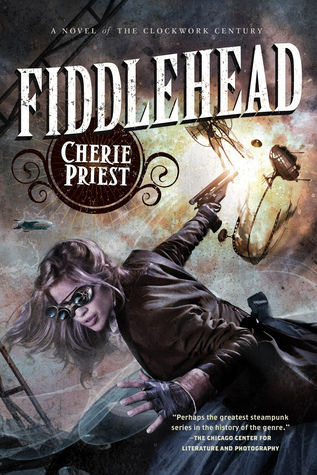 Fiddlehead, Bardsley’s calculating engine, has proved an extraordinary threat threatens the civilized world. Meaning now is not the time for conflict. Now Bardsley and Fiddlehead are in great danger as forces conspire to keep this secret, the war moving and the money flowing. With spies from both camps gunning for her, can even the notorious Belle Boyd hold the war-hawks at bay? 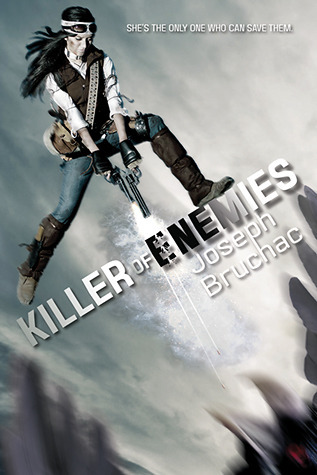 Killer of Enemies is published by Tu Books, a publisher dedicated to young adult science fiction, fantasy, and mystery books with diverse characters. I recently read one of their science fiction novels, Tankborn by Karen Sandler, and really enjoyed it. An excerpt from Killer of Enemies, published in hardcover and ebook earlier this fall, is available online. This fantasy debut, the winner of the 2013 David Gemmell Morningstar Award, will be released in the US on December 3 (trade paperback, ebook). It is already available in the UK. 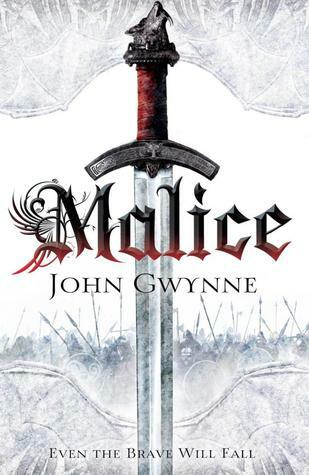 An excerpt from Malice can be read on the US publisher’s website. 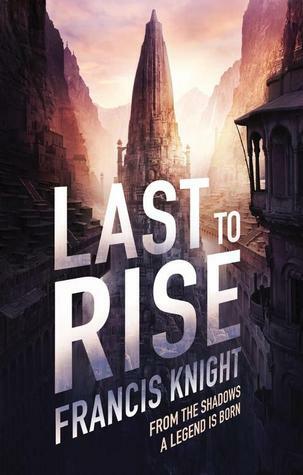 An excerpt from Last to Rise is available on the publisher’s website. The concluding volume of the Rojan Dizon series where magic must save a city on the eve of its destruction. The towering vertical city of Mahala is on the brink of war with its neighbouring countries. It might be his worst nightmare, but Rojan and the few remaining pain mages have been drafted in to help. The city needs power in whatever form they can get it — and fast. With alchemists readying a prototype electricity generator, and factories producing guns faster than ever, the city’s best advantage is still the mages. Leading the alchemists is Rojan’s sister, with a risky plan to help tap the mages’ strength and overcome the armies marching towards them. With food in the city running out and a battle brimming that no one is ready for, risky is the best they’ve got . . . This stand alone sequel to Esperanza was released earlier this month (hardcover, ebook). Another related book, Ghost Key, came out after Esperanza and before Apparition. An excerpt from Apparition can be read on Tor.com. 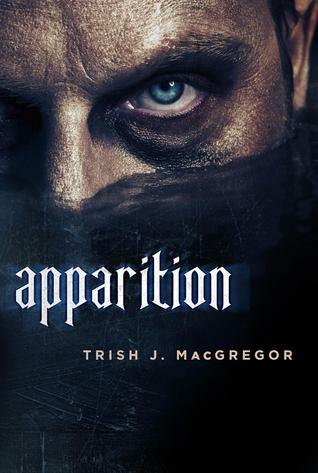 Trish J. MacGregor returns to a mythic city high in the Ecuadorian Andes in Apparition. Tess and Ian have been living in the high city of Esperanza for years, along with Tess’s niece, Maddie, and her partner, Nick Sanchez. They thought they could rest, that they had defeated the brujo threat to our plane of existence. But they were wrong. A new and greater threat has formed, a new tribe of the hungry dead, seeking to possess the bodies of the living in order to experience the passions of physical life. This new tribe has found the door to the physical plane that is Esperanza, and they threaten all human life. Only the outnumbered Light Chasers and their human allies can stand against the evil brujos. The Shadowdance books were originally self published, and they are now being released in quick succession by Orbit Books (trade paperback, ebook). There have been some changes to the newer versions, and you can learn more about the differences between the self-published editions and the Orbit editions on the author’s blog. 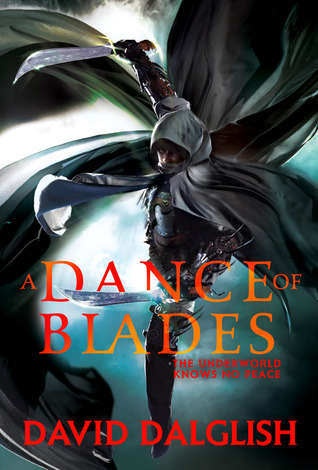 The first book, A Dance of Cloaks, was released last month, and A Dance of Blades just became available earlier this month. A Dance of Mirrors will follow next month. The war between the thief guilds and the powerful allegiance known as the Trifect has slowly dwindled. Now only the mysterious Haern is left to wage his private battle against the guilds in the guise of the Watcher – a vicious killer who knows no limits. But when the son of Alyssa Gemcroft, one of the three leaders of the Trifect, is believed murdered, the slaughter begins anew. Mercenaries flood the streets with one goal in mind: find and kill the Watcher.